I've been so upset this morning, and didn't know if I should be the one to announce this, but I'm just going to. People deserve to know. I am writing with my deepest regrets to announce the recent passing away of Mr. Carmen Macdonald, beloved partner at Vaunt Marketing, LLC, on Sunday, February 5th, 2017. The company is deeply sorrowful for this loss. Carmen was an excellent, highly experienced and well-loved marketer in the outdoor industry. He was instrumental in providing successful industry-leading marketing and branding campaigns to all of Vaunt Marketing’s clients. 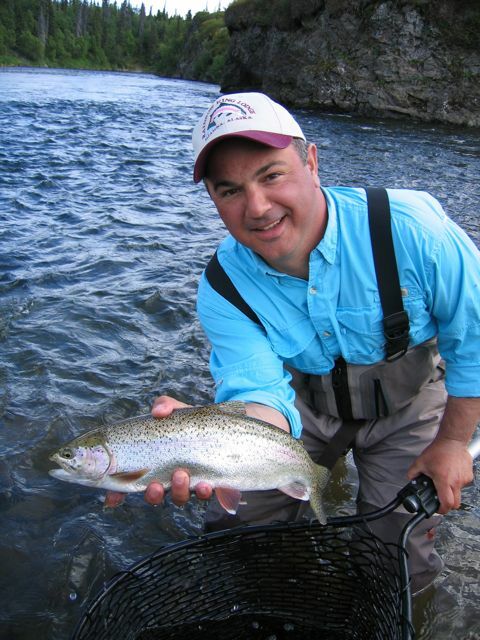 He was well-respected throughout the outdoor industry for his integrity, honesty, hard work ethic, deep understanding of the industry and complete commitment to our clients businesses. There was more, but it's personal. I do not know what will happen with the booth this year. I may just end up sending your kwikfish to you, rather than do the show, this year. For all of you on the board, he was known as "Cosmo". I am deeply saddened, confused, and in shock, frankly. I have been so honored to work with Carmen for so many years I can't count. I loved him dearly. A wonderful man, and a wonderful contributor to our fishing industry. This morning, I was all busy, doing my ifish work, and trying to work out how many tickets I needed for the volunteers. I briefly noticed a PM that was titled, "Horrible News". I thought, "Before I read horrible news, I need to write to Carmen about the tickets." I did that, and hit send. Carmen will never read my e mail. I went back to my PM's and a friend of Carmen had written to me about the horrible news. I'm still in shock, you guys. Please feel free to write your special memories of this dear man, below. That's really sad. I never knew Carmen personally, only through Ifish, but I always enjoyed reading his posts. I know he really changed some thoughts I had about the whole hatchery/wild fish debate. Prayers for his family. I've had conversations both on ifish and on the phone with Carmen and his insights into fisheries management were exceptional. I'll miss is point blank and no spin takes. His thoughtful writings will live on. Sorry to hear that you have lost a friend and Ifish has lost a part of what makes it great. I did not know him, but always found value in his posts. I'm sure he will be missed by many. Never in a billion years would I have expected this. Carmen was a friend, angling mentor, employee, competitor and all-around great guy that invested most of his life into sportfishing. He taught me so much, and showed me many of his secret spots. In memory, I suggest we consider officially naming his favorite Springer spot on the Willamette, just off Cedaroak boat ramp, as "Carmen's Point." He'd be fishing that spot in his drift boat with his kids every evening in April...and he knew how to fish it better than anyone. My condolences to his wife, children and family. Oh my gosh. Can't believe it. Crossed paths with him in CCA years ago. Such a nice and very intelligent person. He spoke of his family often..devoted family man, it seemed. So sorry for the family. I was in utter disbelief when I saw Jennies thread title. We didn't always see eye to eye, but Carmen was a good man. Our last conversation was about roasting prime rib for the holidays and maybe seeing each other at the sport show. I met Carmen at Fisherman's on a Sunday to help me pick out a Okuma guide select rod when they first came out. What a lot of help and great guy. Thoughts and prayers to the family. I never had a chance to meet the man, but I always had a closet admiration for his kwikfish collection...and his willingness to share it. A great contributor here on the forum. Sorry for your loss, Jennie. Wow, I'm speechless and just plain sad. Prayers for his family. I woke up bright and early this morning read a message from a mutual friend of Carmen and mine I was in shock! I have fished with him several times and he was always a pleasure to be around. You will be missed my friend, a sad day indeed! Someone sent me a text an hour or so ago and I said "no way". I'm stunned. Great guy. Way too young. I always enjoyed Cosmo's posts, he was thoughtful; I'm sorry to hear this news. I remember when he offered to send me some plugs. 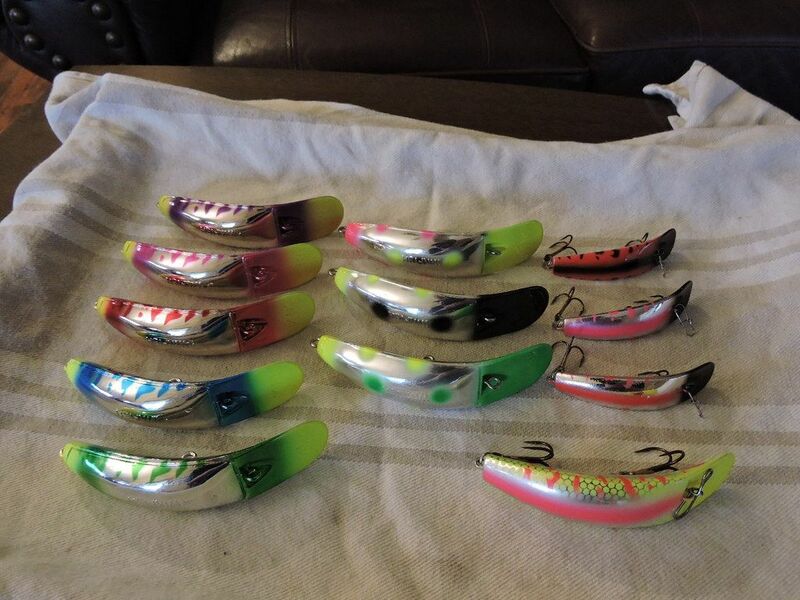 A couple weeks later some shiny K-14s and a few K-9s in brand new & experimental colors arrived. He was dedicated to the health and improvement of our fisheries, and when I close my eyes I see him alone in his driftboat bouncing a prawn on the shelf in front of CedarOaks, always had a wave and smile, really great guy. Shocking news. As already mentioned way to young. He was always giving back to the resources. A great guy that will be missed by many that he crossed paths with. Sad news. Cosmo provided me with several replacement kfish that I lost in the river. He will be missed. Good man. Salem IAFF Local 314, ret. I have been shaken all day. I'm so embarrassed to have spelled his name incorrectly. I have now gone thru each and every post, hit edit, and then advanced edit on each of your entries to correct the spelling, due to a request by a friend, and out of respect for Carmen. You know, I wasn't a close friend of Carmen's, but i wish I had been. I was a business associate, and we shared laughs in the booth at the Sportsmen's Show and some quiet casual conversation, via e mail. I worked with him quite closely on both the Annual Springer Contest and the Kwikfish Contest. He's always been overly kind to me, and has gone out of his way to help ifish and me, in any way he could. He always had time for me. That's huge. One year, when I had lost my vision, he did the entire show for me, and when I tried to reimburse him, he wouldn't take but a small amount. THAT was what I knew about Mr. Carmen Macdonald. He'd go out of his way to help people. I'm so blessed that I got to know him at all. I'd liked to have known him better, and I think that's the saddest part of today. I realized that... now that it's too late. It's so darn final... To think I'll never sit next to him and talk quietly, or laugh hysterically again. It's a lot. Don't let opportunities to get to know someone better EVER pass you by. If anyone has any good pictures of Carmen, could you please share them? I hope that it's OK to ask that. A bad deal all around. I believe this was B10 in 2009. 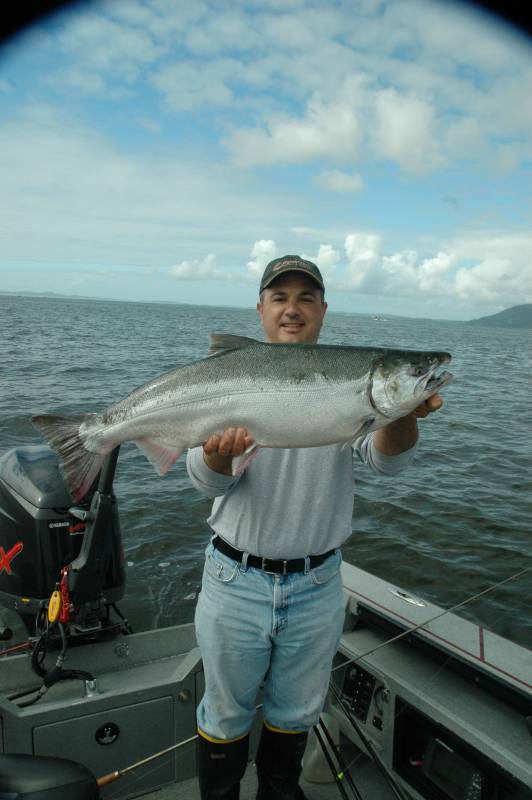 Big coho. Carmen could fish. Anywhere. Anytime. Sad news for sure. My thoughts and prayers to his family. I met Carmen a couple of times at the sportsmen shows, he was always willing to chat and help any way he could. Never easy loosing someone. Yes very nice guy, and a very good fisherman. I always wanted to partner up fishing in the L.O. area with him. Biggest Ego on Ifish. Biggest Tool on Ifish. IFISH---Success stories or pics not allowed here. I was stunned when I got a call this morning with this news. My thoughts and prayers first and foremost are with his kids, I pray for their strength as they go through this. He will surely be missed by many. I only met him once in person, but instantly I knew he was a genuinely good person, very smart, good sense of humor, a good person....very sad. Cosmo is like one of the anchors on this forum. Some really great posts with terrific feedback on the fishing and techniques. Always a positive person. Sorry to learn about his passing. He will definitely be missed on the forum. Condolences to his family and close friends. Like others here I didn't know him personally but if I knew he was a guest on Outdoor GPS I would be sure to watch. Just one of those people that was easy to like. Prayers for family and friends. Those of us who had the pleasure of fishing around Cedar Oaks Island with Carmen knew several things about him. He was very committed to his family. Often his wife and children were in the boat. Not some thing you see a lot of. He frequently had friends on his boat. Loved by many. If you talked to him, he was very generous sharing information. Some times God puts people on this earth to be an example to others. Carmen was one of those people and lived a life worth emulating. Condolences to his wife, son and daughter, along with the rest of his family. Carmen will be missed for a very long time. He is a legend. Thank you for the pictures. Awe, Carmen.... What a great guy. His input and contributions will be missed. I thought he once wrote a piece about his sister. I may be wrong, I couldn't find it (yet). Time to reach out to friends while I am still able. Cosmo is like one of the anchors on this forum. . He will definitely be missed on the forum. I only knew Carmen through his ifish presence, but I had always been very impressed by his knowledge and experience. He was always able to communicate insight an empathy. I wish I had the chance to meet him in person. Did not know him other than on the board. My condolences to his family and friends Definitely way to young, sad to read about this !! Still on my mind, Carmen.... I'm sure you are on a lot of minds. You are so loved! My gosh we lost a good one! He was a positive, most knowledgeable feller with a lot of life to live. Very well said, and ditto. Devastating news. Carmen was so deeply involved in the fishing community through his business, but really through his love of fishing. There is a void that will be felt for a very long time. Tight lines, Carmen. Thank you! Cosmo posts were always helpful, knowledgeable and right on point. Never knew the man behind his ifish moniker but his name was well spoken in the fishing community. Condolences to his family. This is terribly shocking and very sad news. I only had a couple of occasions where I listened to Carmen. Both were times when he was a featured speaker. In those brief encounters you could just tell what a great guy Carmen truly was. May he be forever Blessed as well as his Family. Such sad news. My thoughts and prayers go out to him and his family. Worked with this great man thru CCA. Probably one of the honest, straight talking and thoughtful man I have ever known. You are in my prayers my friend along with all that have known you. God speed. Last edited by Reel Fun Fish'n; 02-08-2017 at 11:42 AM. Very sad news. I've seen him off Cedaroak ramp a time or two. My thoughts are with his family. 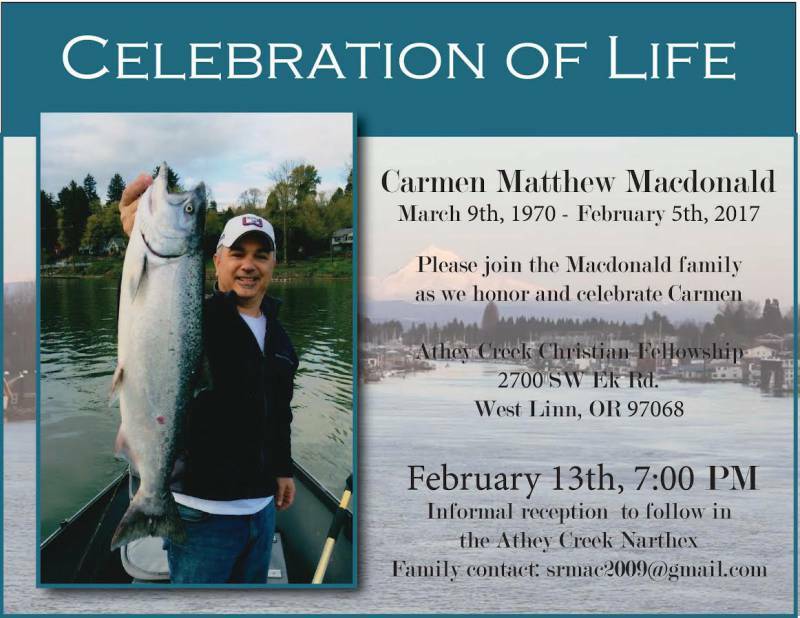 The family of Carmen Macdonald cordially invites you to join in celebrating his life on Monday, February 13th at 7:00 PM. Informal reception to follow. Carmen’s family has set up a GoFundMe account for his children. This fund will be managed by Carmen's older brother and sister-in-law, Stephen and Karen Macdonald, and will be used as a scholarship for the education of Carmen's two children, Jackson and Kendall Macdonald. In the last few days I have heard so many heartwarming personal stories about Carmen. It seems everyone has a special story to tell. If you would like to share your thoughts, stories, prayers, photos or fondest memories of Carmen. Bring them to the service or email them to me. Vaunt Marketing will have a place for you to drop your writings/photos. We will create a beautiful book from all the pieces. This will provide a wonderful memory book for his children and family to look back upon and reflect on what a great person he was. We’re taking BoulderDancer up on that great idea and will be crafting a memorial to place at that spot on the shoreline in honor of Carmen. Contributions to the memorial can be made at the service or contact me directly. Posted Directly in its own thread, here. Outdoor GPS is airing a little clip in honor of Carmen at the end of the show tonight. Show starts around 7:30 after the hockey game. I don't get on the fishing forum much and today when I did I had an actual electric shock run through my body when I read the title of this thread. I am in total shock to learn this news. I met Carmen eleven years ago when he bought that driftboat and fished around him quite a bit. What a great guy who was always quick with a smile and a hand shake when we crossed paths. He definitely made the world a better place and will be missed. I think you're going to have to copy and paste. PM's don't show up cause they're "personal". carmen was a good egg. I met him through nick amato many years ago. great person and great fisherman. I always enjoyed being in his presence. This is so so sad. live is precious! Last edited by cully; 02-10-2017 at 01:40 PM. I didn't know him but he sounded like a good guy. Let the man rest in peace. Last edited by apelily; 02-12-2017 at 07:12 AM.